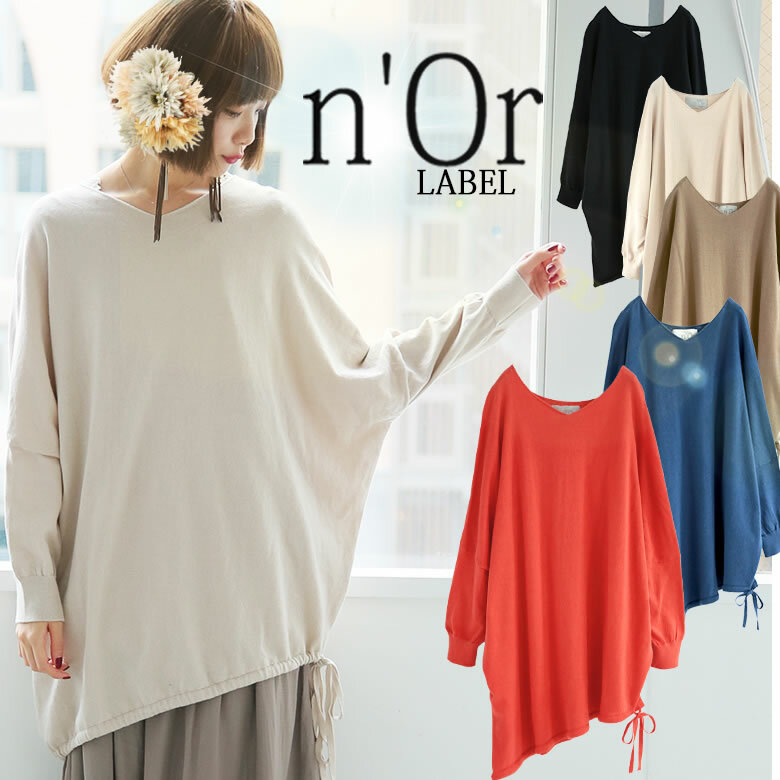 "I only wear it nuance up." 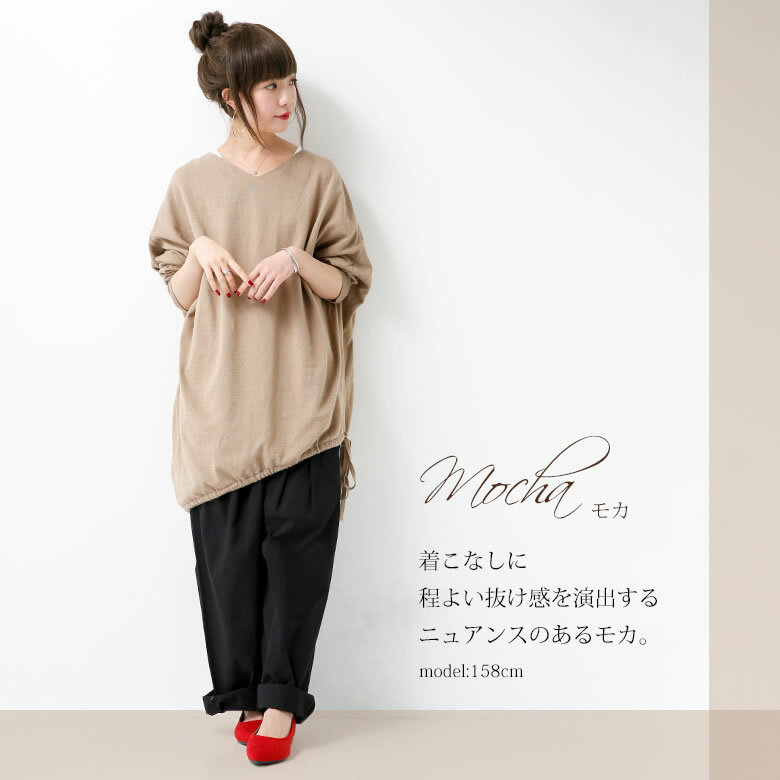 I wore it roughly, and absolutely stylish cotton knit came up. 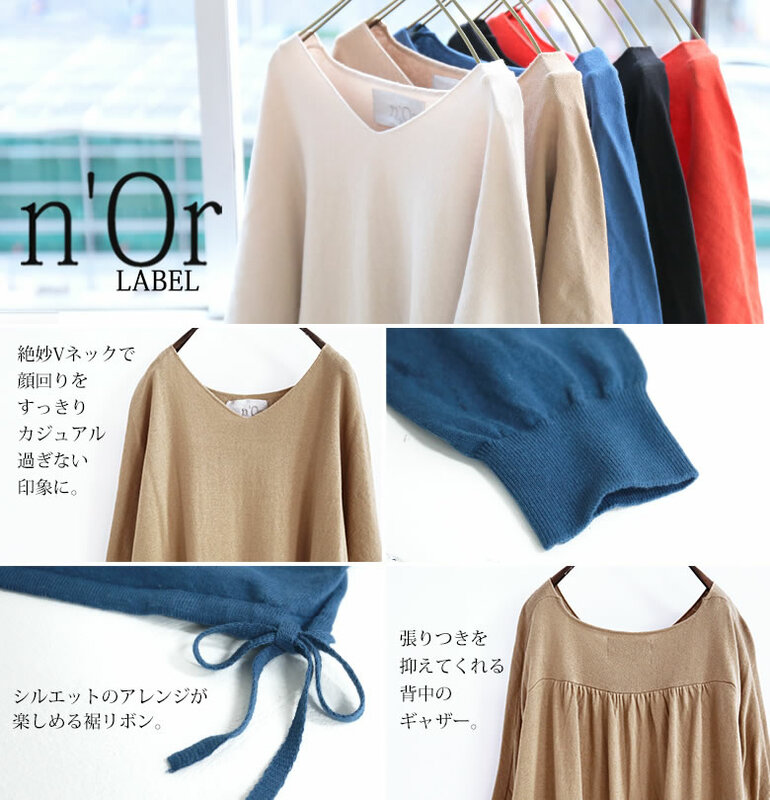 It is 綺麗魅 せするこだわりの V neck line in decollete. 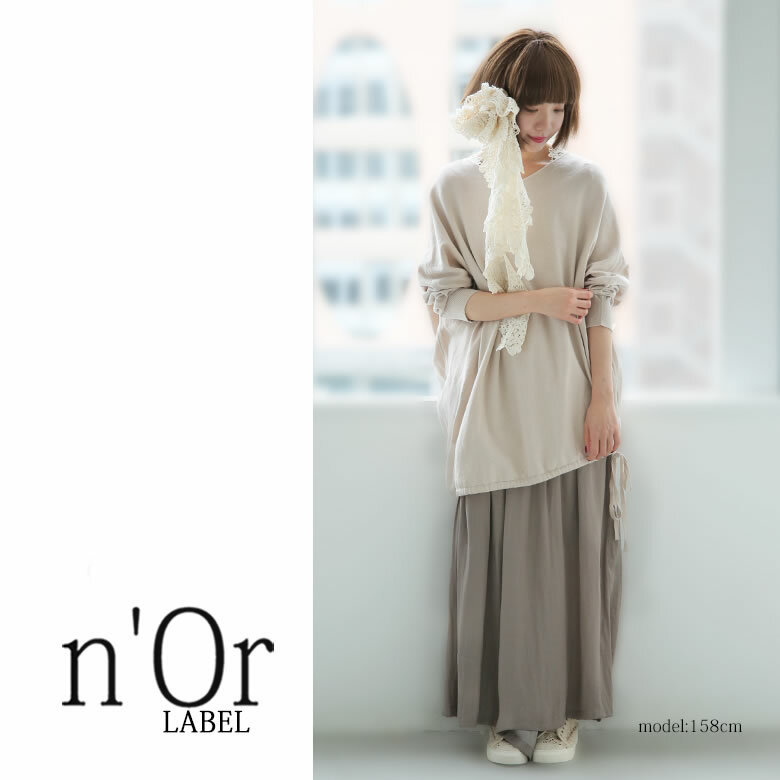 I can easily arrange the silhouette of アシメデザイン granting fashion lightly by end of the hem ribbon. 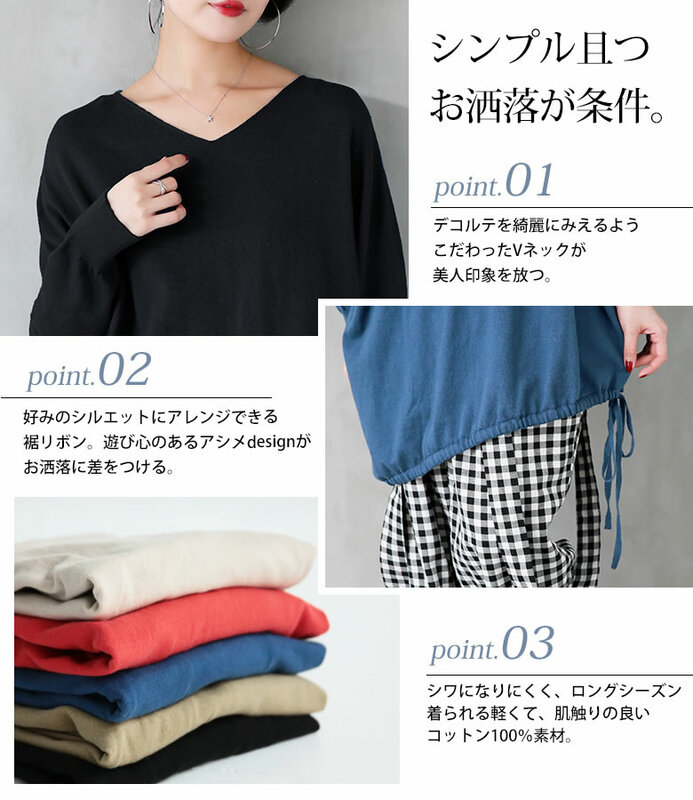 Because I can enjoy coordinates to a feeling, the mix-and-match power is outstanding, too. 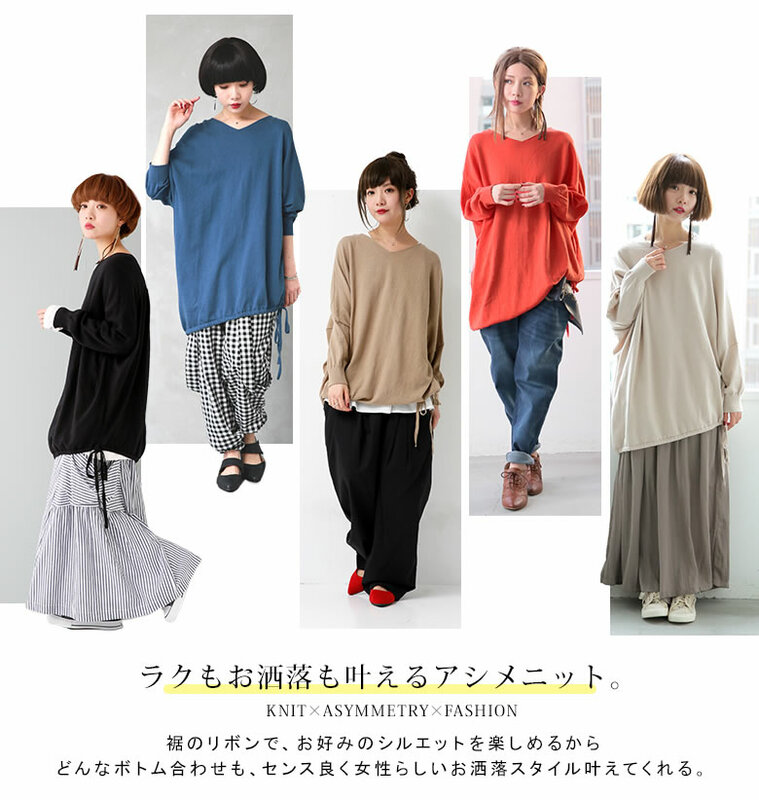 Comfort as the cotton 100% of soft textures knit does not think and wants to wear it all the time. 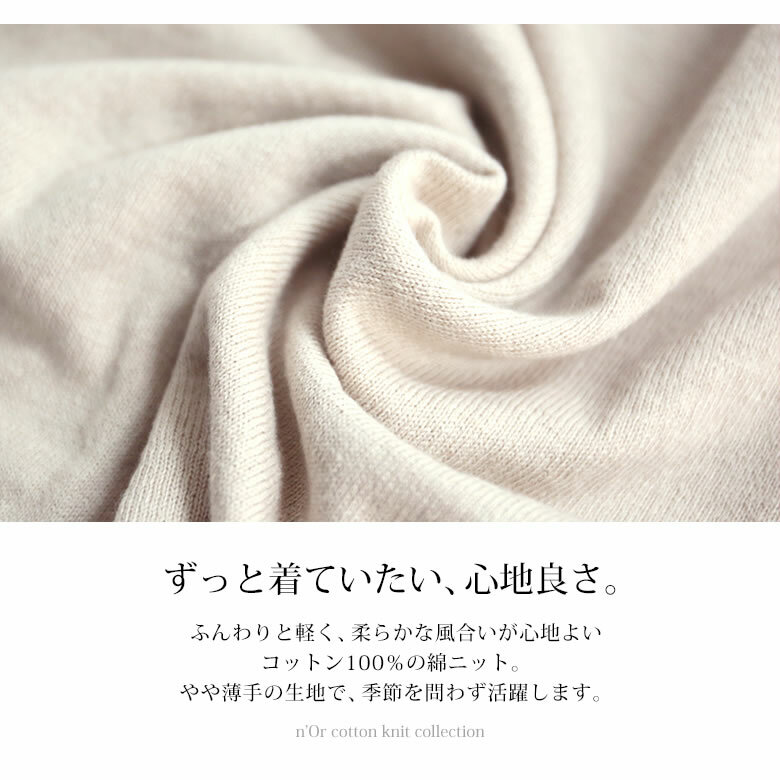 It is wrinkle-resistant and can use it regularly softly in a long season because it is mild comfort. 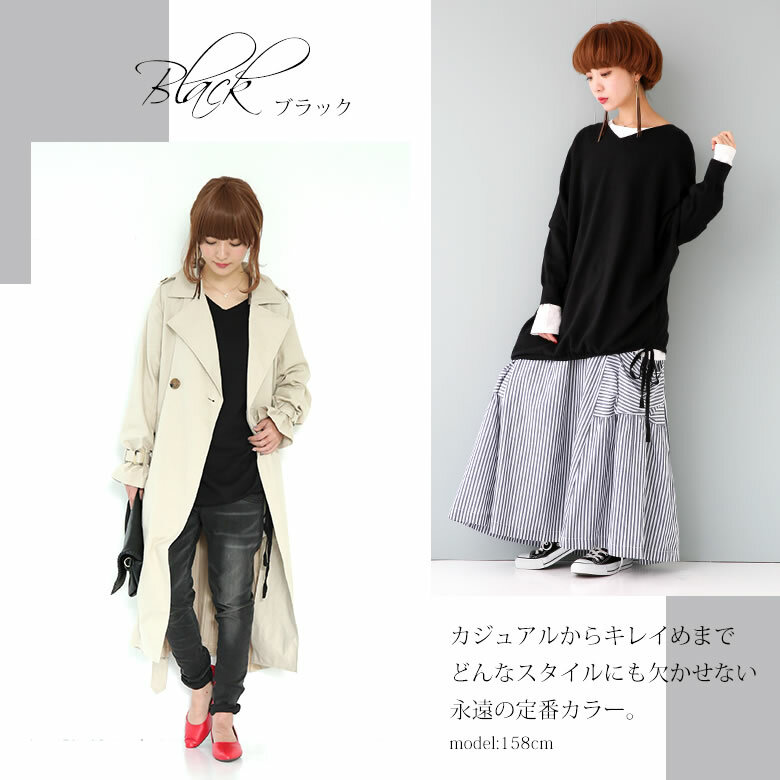 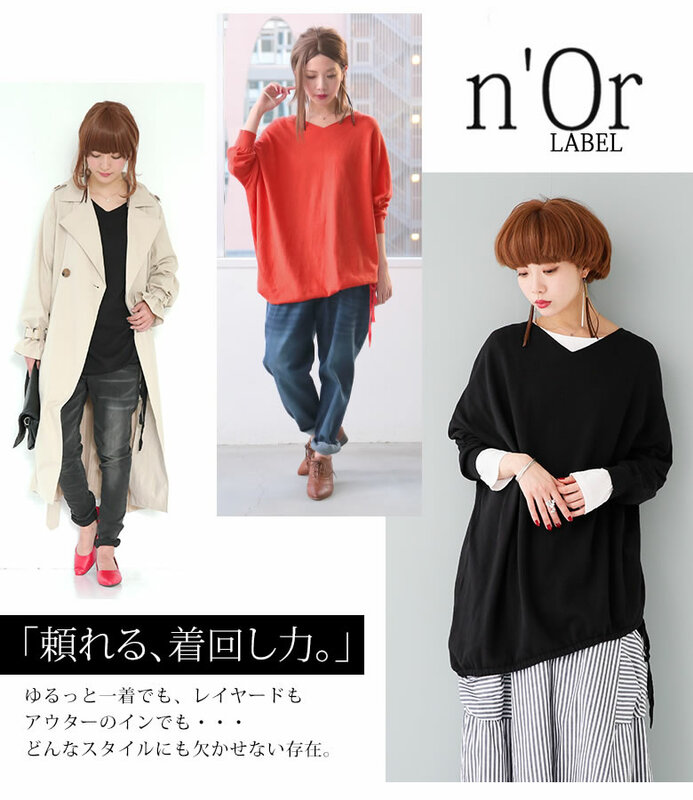 Taking the ease is one piece << n'Or >> of hem リボンアシメデザインニット to be able to rely on which the fashion grants. 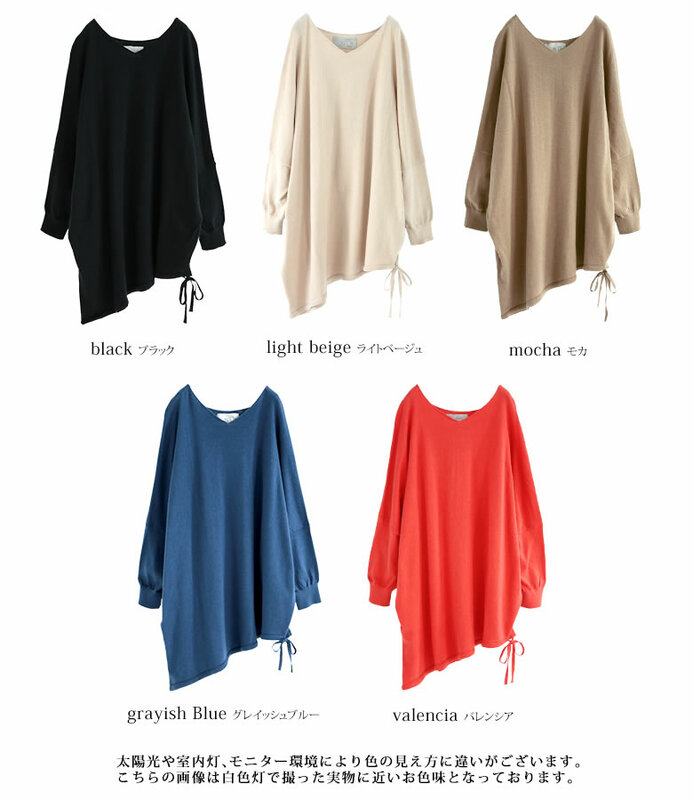 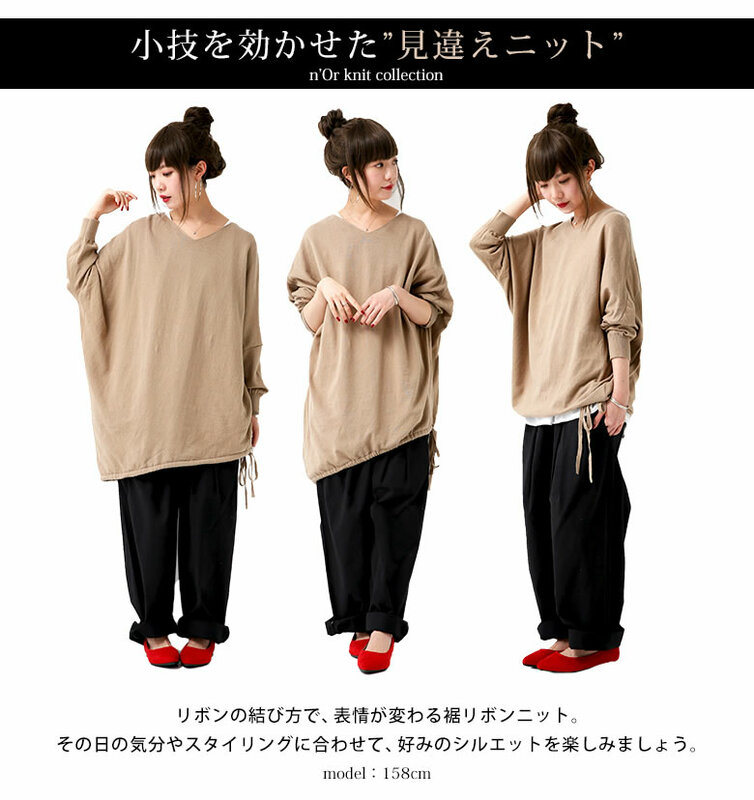 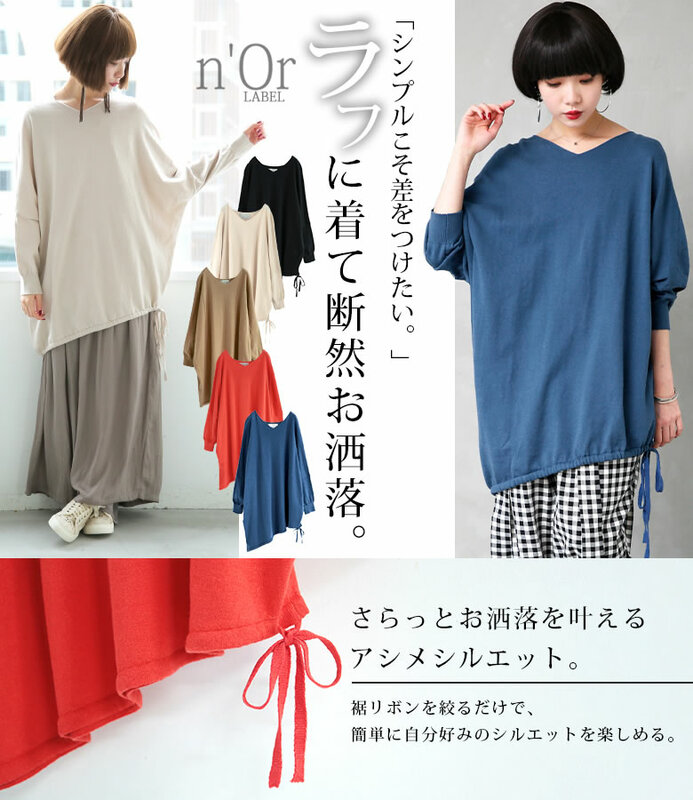 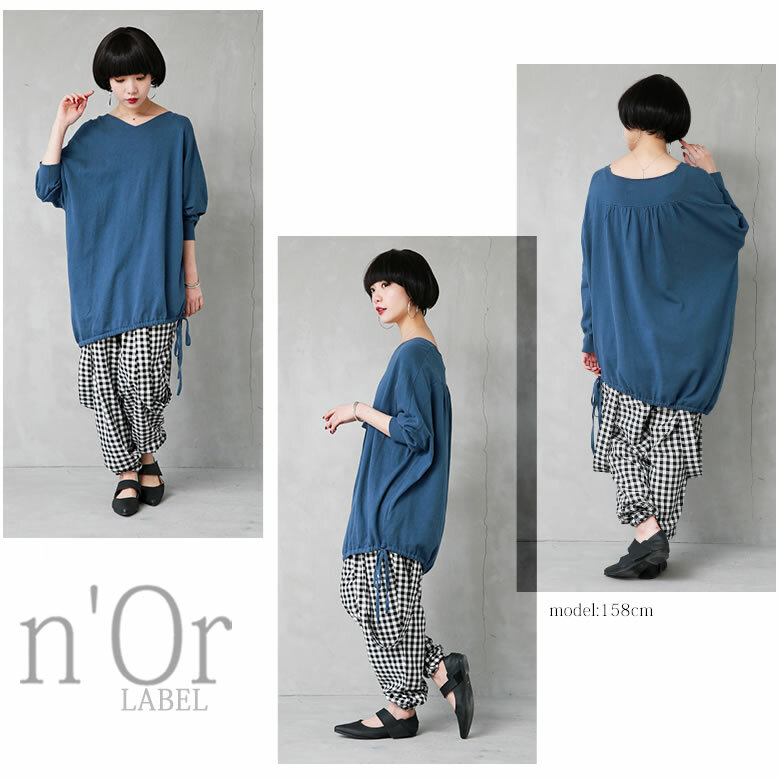 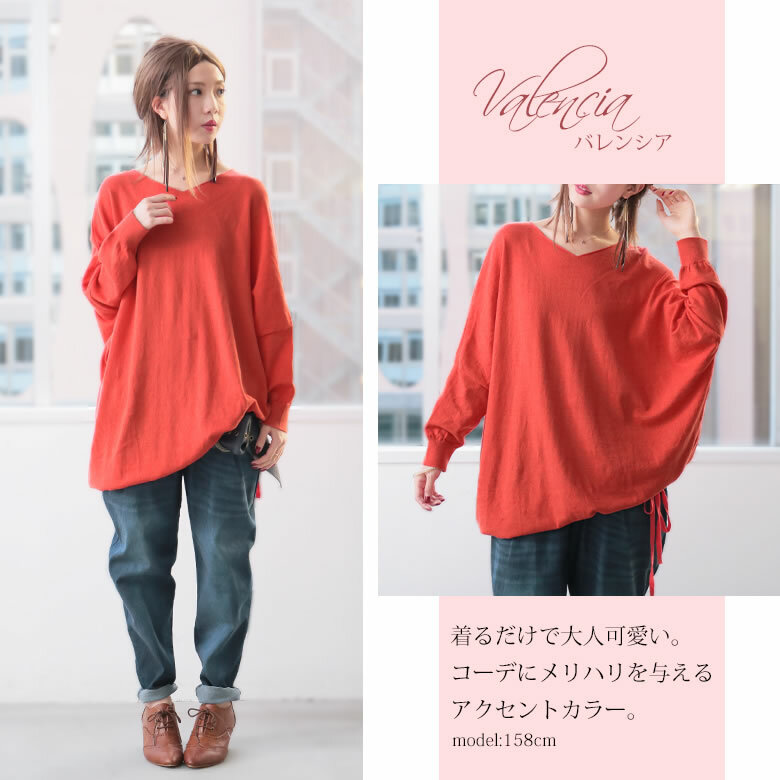 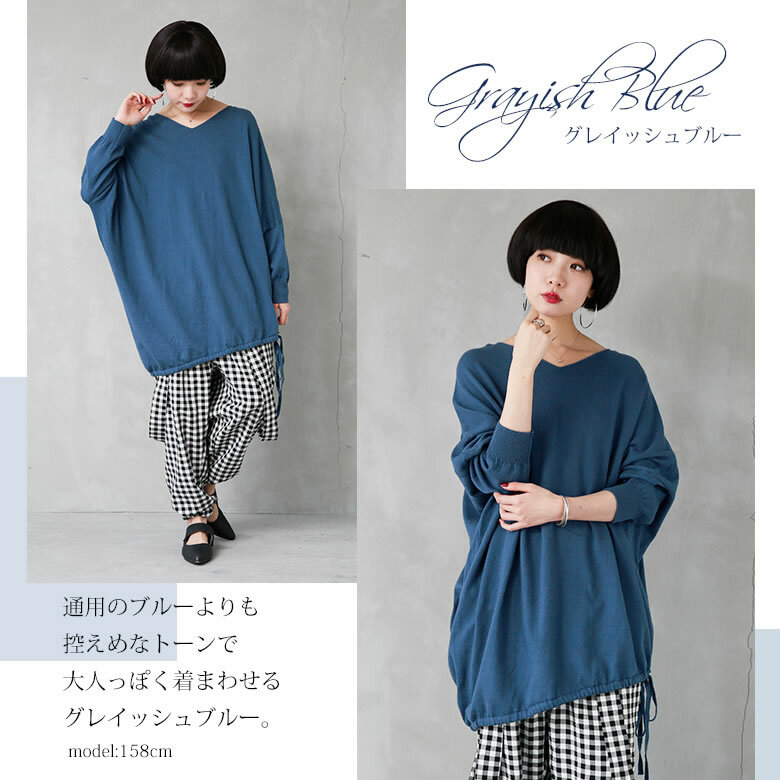 ※Elasticity to match with nature to a body comes to feature the knit product, and the individual difference of size and the texture may occur to some extent, but please buy it after understanding it. 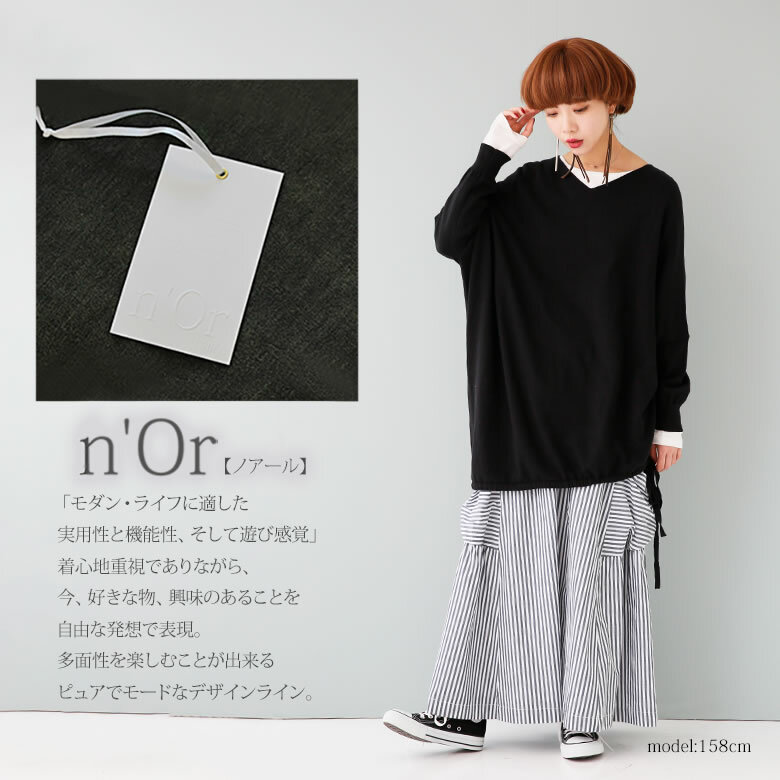 Though I relaxed moderately, it was worn in the silhouette that it was an adult-like smartly clearly as the rib of the wrist narrowed. 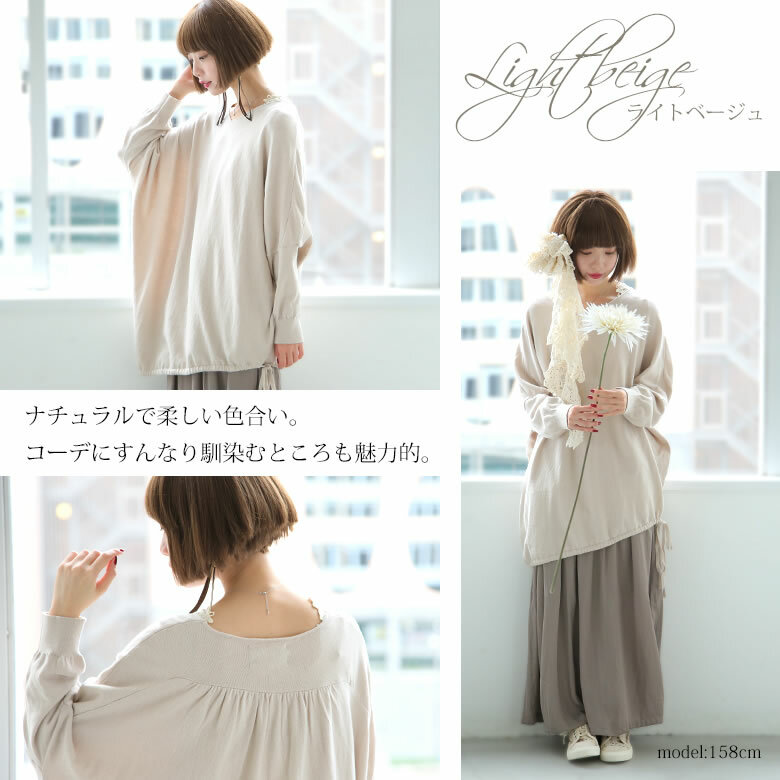 I was able to afford moderately and was worn for ゆるかわな feeling.